Reputation is key when it comes to building a business so, if a new potential customer clicks on to your site or app, the first couple seconds are incredibly important in grabbing their attention. Your website or app can be the making or the breaking of your business; it can either boost your revenue or have you eating into it so it is important to ensure that your website and your app are up to date and working flawlessly. Astonishingly, the internet is celebrating its 30th birthday and, in a short space of time, it has become a daily need for us all. Would you be able to get through your day without online banking, social media and having your emails at the touch of a button? Could you survive without online shopping, online videos and gaming? The internet has given us so much so it is unsurprising that businesses have turned to the internet to create a greater flow of traffic to increase their business. Less than 5 seconds is all you have to give a great first impression; if you do, you may have a customer for life, however, if not, say goodbye to a potential customer or client. As soon as they enter your site, those first 5 seconds are vital and will speak give an initial impression on your business and so you need to show your company’s ethos and message instantaneously. Making your website stand out will improve its search engine rating; boosting your site to the first page of any search engine will increase your online traffic tenfold. Look at your own search experience, have you ever needed to click next page on the bottom of Google or did you find exactly what you were looking for on the very first page? Search Engine Optimisation, or SEO, is vital in business today as it will manage your online presence and the flow of customers to ensure that your site gets the most hits. 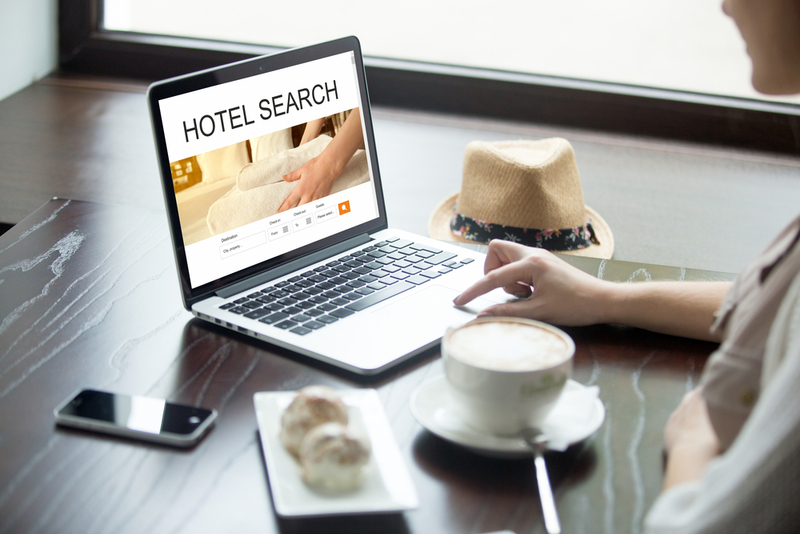 What a Hotel Booking Engine Can Do for Your Business? Life has become so much easier for guests and businesses alike. Gone are the days where guests have to directly contact the hotel for a booking, everything can now be accessed online. A booking engine for hotels has become a necessity, once a room is booked the system will remove it from the website, saving on man power as well as the fact that customers are able to access the site and book 24 hours a day. It manages your site for you, it can handle availability of rooms, guest bills, restaurants bookings and add-ons all in real time, giving both the hotel and potential guests up to date information. If all of the necessary information is on your website and you create a separate portal for any enquiries that your guests may have, all they need to do is press the book button to make a reservation. In turn, this frees up your staff to take care of current guests and their needs. A booking engine will also allows you to collect data in order to keep your business stable during the off-peak seasons.